Join Rabbi and Devora Lewis for a Shabbat experience that will give you insight into the traditions and customs that have enriched our lives for thousands of years. 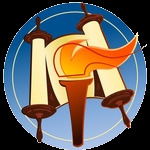 Our soulful and spirited prayer services, Hebrew/English "user-friendly" prayer books, interactive and thought provoking discussions followed by a delicious Kiddush luncheon is sure to ignite your soul. Join for some...Join us for all!